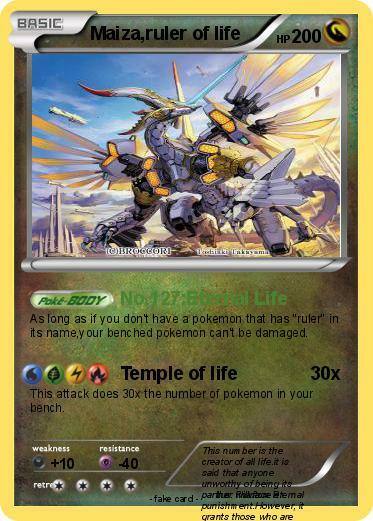 As long as if you don't have a pokemon that has "ruler" in its name,your benched pokemon can't be damaged. This attack does 30x the number of pokemon in your bench. Comments : This number is the creator of all life.it is said that anyone unworthy of being its partner will face eternal punishment.However, it grants those who are worthy with eternal life.